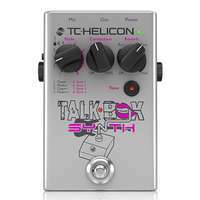 Advances in Music Technology and the demand for live music has come to a point where the old way of playing music just doesn't cut it. 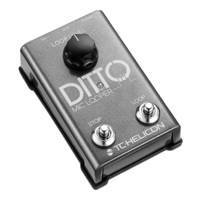 Advances in Music Technology and the demand for live music has come to a point where the old way of playing music just doesn't cut it. 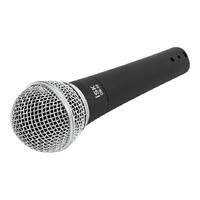 Especially for singers, recording a double track or harmonizing with your own voice, editing, and all the special effects that alter one's voice to make the music more interesting is not possible when playing live with your band - until now! 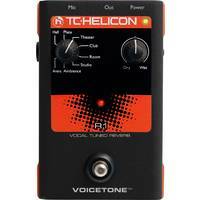 The TC-Helicon VoiceLive Touch lets you do all kinds of crazy stuff to your vocals just like how it would exactly sound on a (heavily edited, tweaked and produced) recorded song! 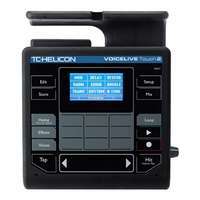 With the latest tech from TC-Helicon, you are a few touches away from a stellar live performance! 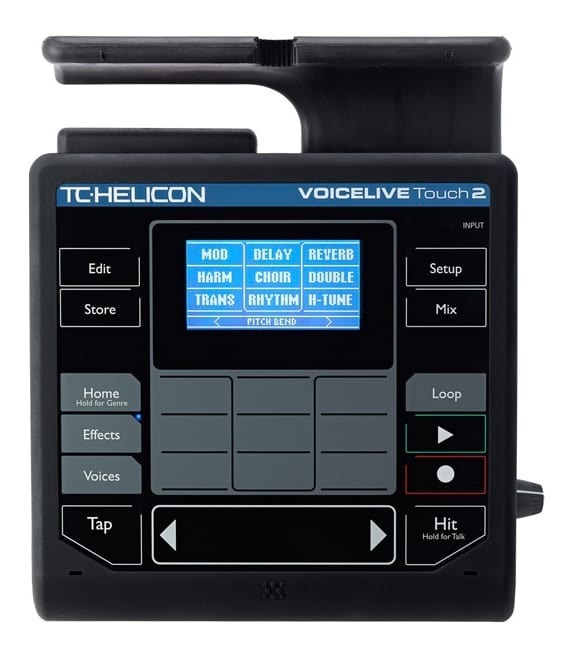 Professional users of the original VoiceLive Touch have been instrumental in helping us develop the power user aspects of Touch 2. For example, artists like international rising star Kimbra helped us discover additional MIDI abilities useful when you want to extend your creativity using other real-time controllers. 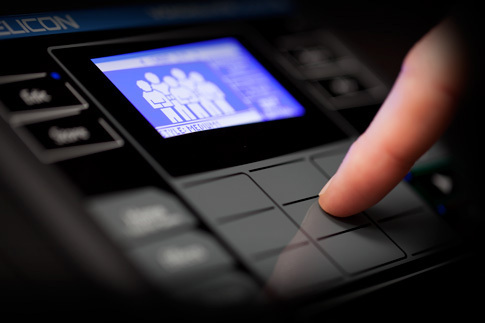 The GENRE feature allows you to easily browse hundreds of presets. 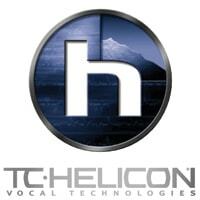 Choose a style that suits you and VoiceLive Touch 2 will list the presets that fit your preference. If that wasn’t enough, you’ll be able to download new and exciting artist presets each month for free via VoiceSupport. 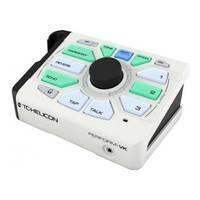 Add remote Mic Control with the TC-Helicon MP-75, Sennheiser e835 fx, or the Switch-3 footswitch for additional control of presets, performance, effects and looping.